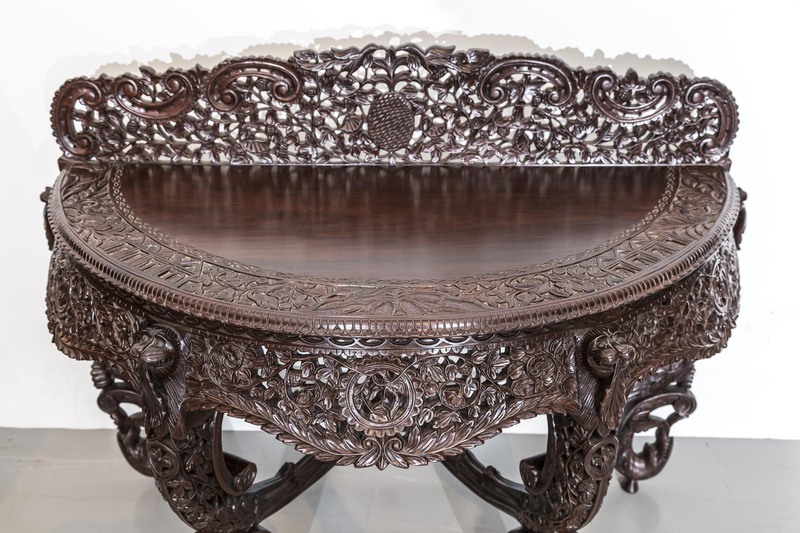 Without doubt, Indian antique furniture shows off the magnificent skill and technical ability of the artisan. Therefore, if you are fortunate enough to get your hands on an original piece, you will appreciate the richness and beauty of this kind of furniture that makes it a treasure that will last you a lifetime. The main difference between Indian antique furniture and contemporary reproductions is by far the craftsmanship. Each piece is authentic, meaning it is made with natural materials and rare woods. However, the handwork (time and dedication) that went into antique furniture is what sets it apart from later pieces. As might be expected, the Indo-European style of furniture drew inspiration from India’s deep cultural well. 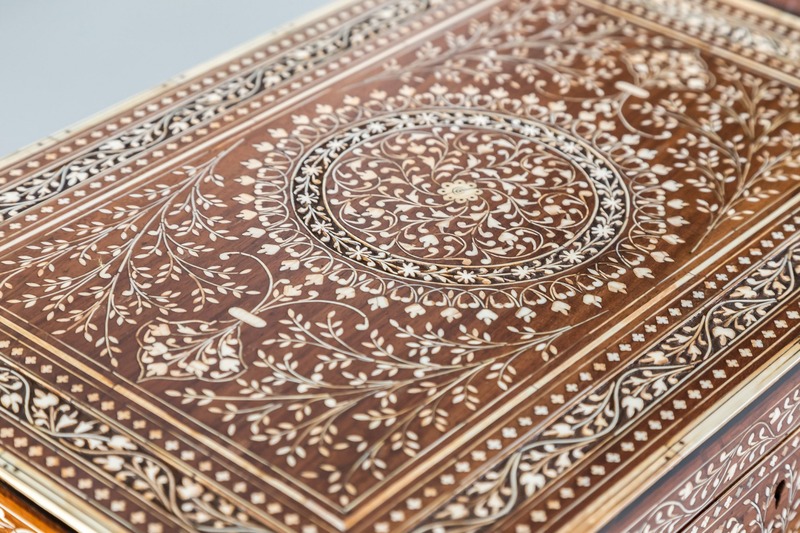 The result was an incorporation of patterns of inlay and carving motifs that derives from the mythology and artistic heritage of this most ancient civilization. Westerners accustomed to, for example, English Regency mahogany furniture as a model of curvilinear restraint can be taken aback when confronted with an Anglo-Indian piece of the same style. It will likely be executed in solid rosewood with (major) portions of the exterior surface pierced, carved or inlaid.